Roll-Away Retractable Window Screens are Custom Made to Fit Almost any Style Window. - Larger 2 5/16" Wide by 2 3/8" Tall Top Roller Housing. - Two Handed Dual Locking Drawbar With Positive Locks Every 12 Inches. - Made With Brite Bronze 18/14 Mesh Wire Screening For Lasting Durability. - Bronze Screen Weathers Over Time to a Dark Bronze. - Slide it Down When Your Window is Open. - Slide it up into Housing, Away From Dirt, Damage and Oxidation. - Lasts Longer, Admits 20% More Light than Outside Window Screens. Available in Bronze or White finishes Only. Purchased a retractable screen and love it. Fits the space, works nicely. measured dimensions conveyed should overtly state whether or not you want the 1/16th inch deducted from the furnished product. I think that mine was made to the exact measurements & I needed 1/8 in deducted causing much effort on my part to achieve that without destroying the opening for receiving the rollscreen. Advantages: You can specify "reverse" in order to suit your situation. The availability to obtain a replacement for a very old rollscreen is wonderful. 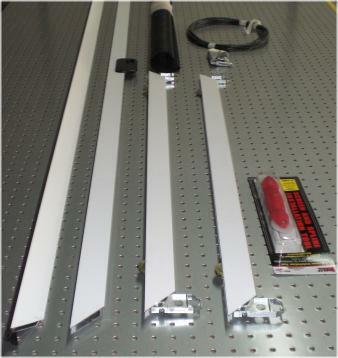 Disadvantages: The difficulty is in the carpentry work not in the assembly of the rollscreen. Also, the rollscreen is a little expensive - especially if several are required. I am very happy with the RollAway 2000 screen. It seemed a little pricey until I received it and felt the quality of the product. Installation was fairly quick and easy, too. Advantages: Well engineered to work well. Good fit. Quality material. Disadvantages: So far, none to note! Great web site for easy ordering. Owner was helpful in resolving questions. They had the solution for screening my antique steel casement windows. Advantages: Short turn-around time from order to delivery.